Attack 1 : fire power! Flip the card. 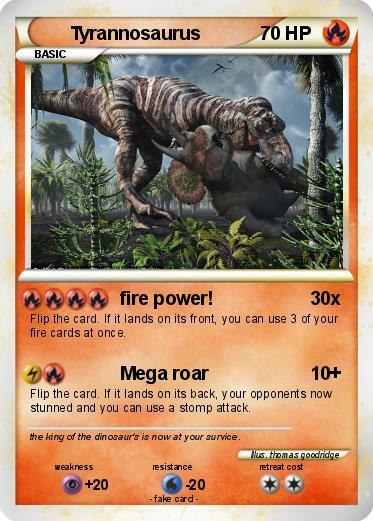 If it lands on its front, you can use 3 of your fire cards at once. Flip the card. If it lands on its back, your opponents now stunned and you can use a stomp attack. Comments : the king of the dinosaur's is now at your survice.